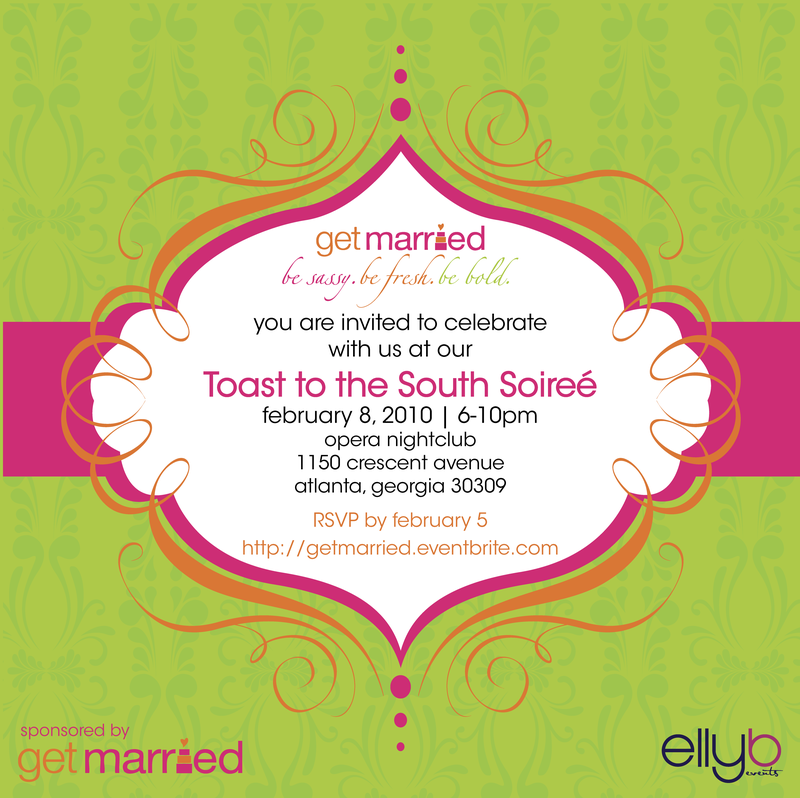 A Toast to the South…Get Married style! We are very excited about the opportunity to design the invitation and signage for a wedding industry event you don’t want to miss! Working along side one of Atlanta’s top wedding and event planners, Eliana Baucicault of ellyb events, has been chosen to bring the Atlanta’s best together for a Get Married’s Toast to the South. RSVP today! ← Travel to Asia…by Paper!